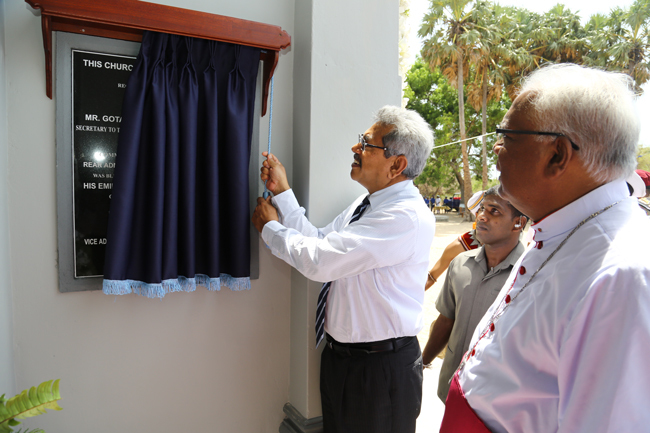 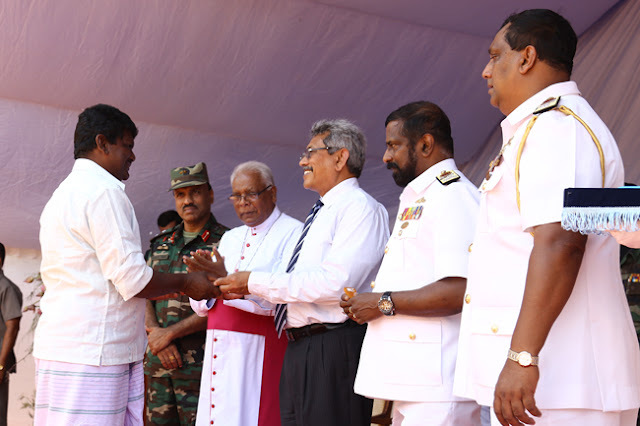 Secretary Defence and Urban Development Mr. Gotabaya Rajapaksa yesterday (27th August) handed over 26 newly constructed houses to deserving families during his visit to Mullikulam in the Musali Divisional Secretary Division. 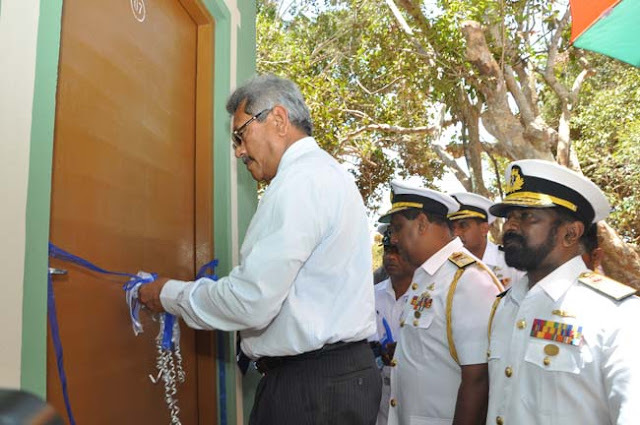 The houses were constructed by the Sri Lanka Navy. These families belong to Karadakkuliya, Pookkulam, Palugahathurai and Athurun Mulliklam. 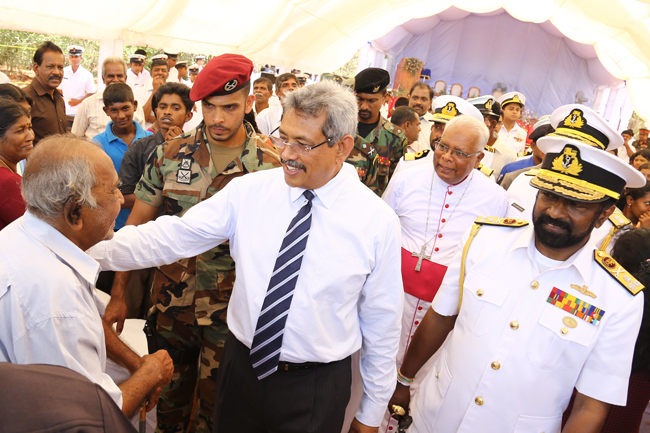 Many families were resettled by the government soon after the dawn of peace. Their former dwellings had been ruined and lively hood destroyed by terrorist activities. 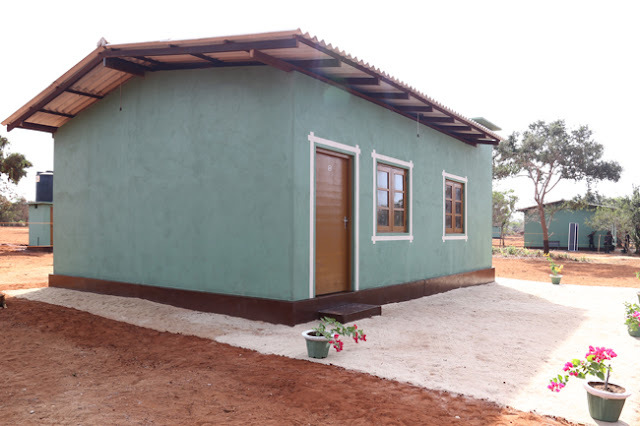 Under the National Reconciliation programme a number of housing and livelihood development projects mooted by the government. 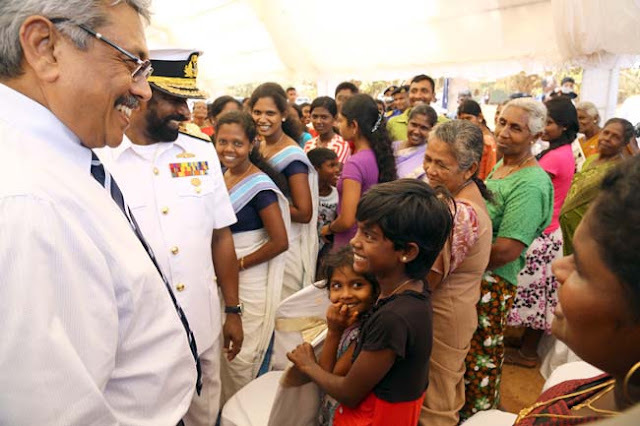 In order to enable these families to augment their income and improve their living standards 10 Fiber Glass Dinghies were also distributed by Secretary Defence during the occasion. The navy had taken steps to recruit two teachers to meet the shortage of teachers in the local school. Later in the day Secretary Defence also declared open the Naval Institute of SLNS Barana in Mullikulam today in the presence of the Commander of the Navy Vice Admiral Jayanath Colombage. 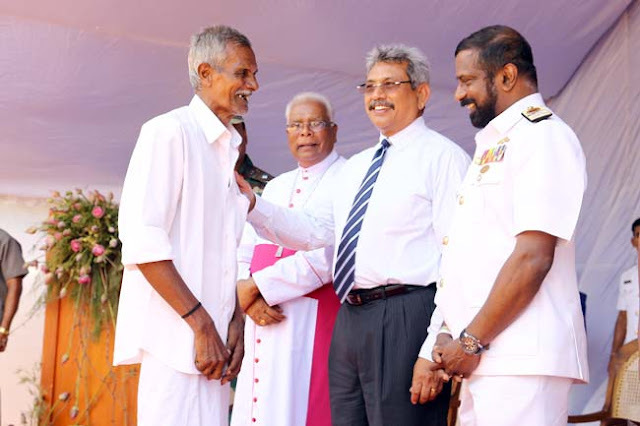 The Commander of the Navy presented a special memento to Secretary Defence and the Bishop of Mannar during the ceremony.